Take center stage with this chair that stars you! 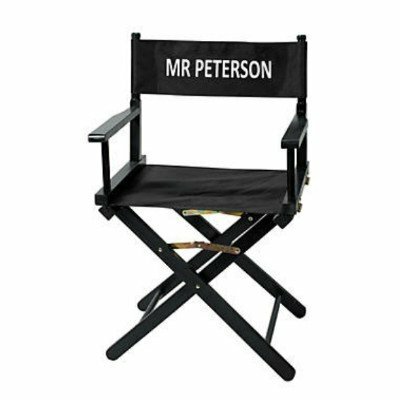 This director's chair is a perfect gift for the film or play director in your life. Or use it as a decoration at your next Hollywood theme party! Personalize with 1 line of 12 characters/spaces. Wood with canvas seat and back. 21" x 34" x 16" Simple assembly required. 21" x 34" x 16"